Especially after college, it can seem nearly impossible to meet new friends, especially if you moved to a new city. It can be even harder to meet women. You all read those articles like find the girls at the grocery store or the library, etc. But usually this doesn’t work because there is no way to approach that person because they don’t want to be approached in public. If you are super dashing handsome and confident maybe you can approach them – I have – but, the real occasions that you can meet potential real friends or especially a girlfriend when going shopping or to a public place alone, just doesn’t work no matter how good looking or charming you are. Many people are on a schedule, or lunch break; or if they are alone they just want to be alone and not approached by strangers; or if they are with friends they don’t want to be bothered. While the right approach might lend you a couple minutes of conversation, the likelihood of this turning into a real friendship is quite low; and the likelihood of finding your soulmate is pretty much nonexistent. America has been transformed into an individualistic hyper-capitalist society designed to leech out every last penny out of your pocket. Everything that was once free that could meet other people has been eliminated because someone saw a way to make money out of it. Capitalism is good, but the extreme form seen in society today is really a severe abuse of capitalism. For example, even in a small town there are no sidewalks in the neighborhoods anymore because they don’t want people to go on a walk to meet the neighbors. They want people to drive around town shopping and spending money. There are no longer almost any ways to really even leave the house without spending money – much less actually make friends without spending money. This has severely damaged the framework of communities making people just a bunch of individuals living near each other rather than a community of friends. Typical feminist’s reaction to any male human who dares to approach her highness. Unfortunately this attitude affects non-feminist girls also. The brainwashing goes deep. And with feminism teaching girls unfairly that all guys are predators looking for their next prey, this has made it nearly impossible for even the best meaning guy to simply have a conversation with a woman without her trying to avoid him like he is a predator. There is literally nothing he can do and no approach he can take to overcome this because it has been brainwashed deep into her subconscious by feminism. Subconsciously, girls in America have been brainwashed to believe all men are dangerous enemies, and this has very much harmed social interactions for anyone who wants to make new friends or meet women when they are alone, like having just moved to a new city. The other reason is because of social proof. Due to the first reason, that our society has eliminated social communities because they want to make money off every single social interaction, what has resulted is that if you are in a new place and you don’t know anyone, you also can’t meet anyone easily either. People are drawn to people who are with other people because being with even one other person is “social proof” that you are socially adept – even though this isn’t actually true most of the time. As a result, you simply can’t go out alone and almost ever expect to meet anyone, without spending money. Think about it. When have you made a best friend when you went out alone? Or when have you left the house and NOT spent any money? I bet neither has ever happened. Making friends and meeting girls isn’t hard, but it isn’t cheap. The truth is, it is not actually hard to make friends or to meet women. It is only hard if you want to do it for free. In fact, if you don’t want to spend money, it is nearly impossible. The reason why it is easy to make friends and meet girls if you pay a lot of money is because then you will be paying for the activities which used to be free social community activities but that now are required to pay because everyone wants a piece of your wallet; and because everyone wants a piece of their wallet which makes them want to want a piece of everyone’s wallet. The top things to do for meeting girls easily and making friends easily is any activity which causes regular, normal social interactions is the place to make friends. Unfortunately, the only remaining things left now cost money, and the things that used to be free either don’t exist or now require a paid service. In school and college, this was a normal part of life. There was a system in place for regular, normal social interactions. You all had to go to class, and there were many “free” activities, that you paid extreme overpriced amounts for in your college tuition (or in grade school that your parents paid through in extreme overpriced taxes), but that because the cost was already paid, it was readily available. You could do intervarsity sports, social clubs, even intellectual clubs. These are all places to make friends because people go there together every day, or at least 1 to 3 times per week. You see the people regularly and it is a natural environment for social interactions, so it is easy to make friends because you get to know the people around you and are doing a common activity which you all share a vested interest in, whether learning in a classroom or a sports team. Now, once grade school and college are over, there is no longer any system in place for young adults (20s/30s) and adults (40+) to make friends anymore. For those 40% who find a real job, they might make friends, but likely these friendships will be very shallow. Don’t expect to be friends with a roommate- it is more likely they will become an enemy. There are no other “free” places to meet new friends. 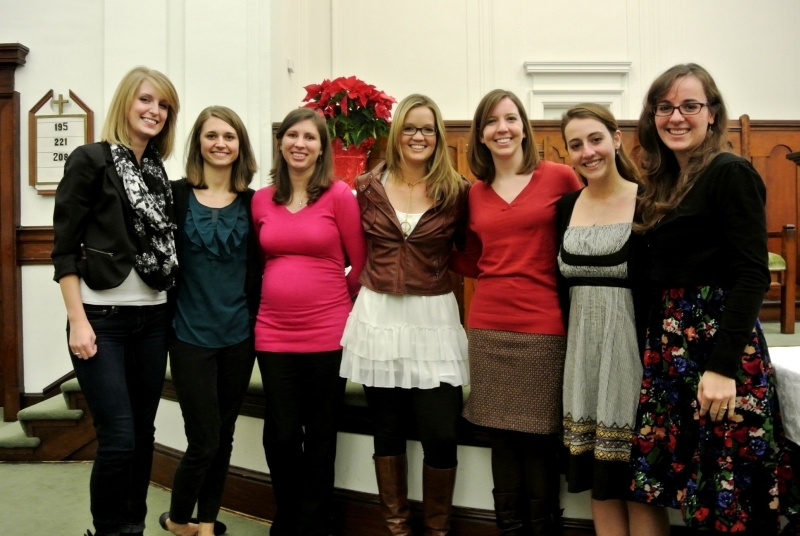 Typical church girls – not a guy in sight. There’s a reason for this. Now, there are a couple places you can make new friends that you don’t spend money – but you do have to spend time and energy. These include church groups and volunteering. The problem is that American churches are hardly Christian anymore – they are just glorified social clubs. If you are not a Christian, you can’t be a part of it. Or, if you are a very serious Christian, you can be rejected as a “fundamentalist” from most groups, because these church groups don’t actually care about God, they just care about shallow religious frameworks as a way to cultivate their secular closed-off social groups. In other words, unless you fit into an extremely narrow area of “calls yourself a Christian but really don’t care about it and care more about social groups than God”, then you’re going to have a hard time making any real friends in a church group unless you are willing to compromise your personal values. Which, depending on which side of the spectrum you are on, may or may not be good. But as far as finding a girlfriend in church, it probably isn’t going to happen. There are many articles written about why people don’t date inside the church, but generally the reason has something to do with the fact that most church groups are clicky-social clubs who are very unchristian types of people who are not welcoming to outsiders, no matter how cool or good looking you are. Much worse if you are not socially adept or unattractive in general. This is because most people in church aren’t really true Christians. As a result of this clicky not-really-christian church groups like probably 90% of the church groups out there, even those inside it are so afraid of shaking the pot that they are too afraid to date anyone, because if it goes wrong they are likely to lose all of their friends and be ostracized from the group. Lots of gossip happens as well and people don’t want their secrets gossiped about by their ex in the group. There are other reasons also. So they just don’t date people in their groups. So, finding a girlfriend in a church group is highly unlikely. 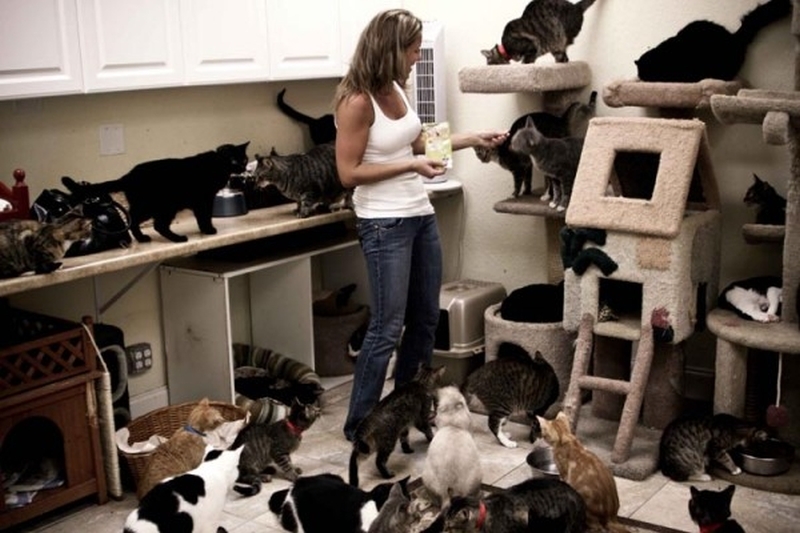 The kind of girl you find volunteering at the animal shelter. Not always but doubtful to find a girlfriend. Then there is volunteering. You could be around some do-gooders, but will you really find a girlfriend? Probably not. Moreover unless you really find the right volunteering, you won’t last long. For example if you don’t like animals, you are probably going to hate volunteering at an animal shelter cleaning up after stray dogs and getting scratched by stray cats and other abused animals. Ok that’s a bit extreme but the point is that if you are not really passionate about whatever you are volunteering in, then you won’t really fit in well. There are also political organizations, but have I found it’s not really easy to even find any volunteer opportunities for politics unless you are in the exact right areas at the right times, like New York on an election year. So if these ways are unlikely or impossible to make friends or meet women, then how do you? The simple answer, as I have sadly discovered, is you have to spend money. The reason why it’s so tough to make friends after college is because you still have the starving college student mentality. After all, they college sucked away all your money with their extreme tuition rates. Because of this, college graduates are not used to spending money on social activities, so they don’t. And since they don’t, there are no opportunities to make friends. Everything changes if you have lots of money! Once you start making enough money that you can begin throwing away a few hundred a month on social activities, everything changes. It can now be extremely easy to make friends, although you wallet won’t be happy about it. In my next article I will tell you the Top 10 Ways Guaranteed To Meet Women & Make Friends That’s Not Bars Or Clubs – And Not Free. This post was listed in Psychology, Relationships, Sociology. Bookmark this page.